Toss Your Dice, Go! 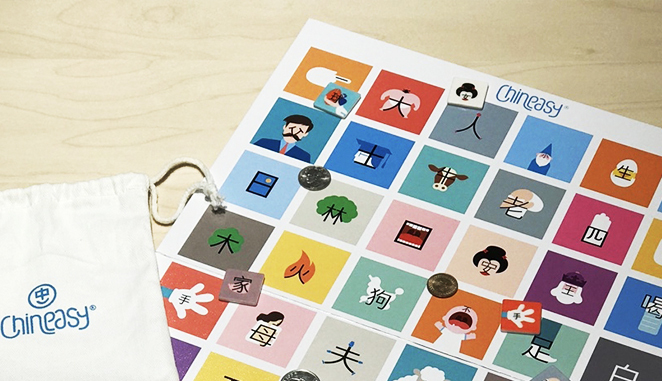 is a new way to play Chineasy Tiles created by a group of teachers. The rule is similar to Monopoly. First, find an object to represent each player/team. Then, toss your dice to decide how many characters you should move on. Try to make up a phrase based on the character on the main board. The first player/team arrives 山 (mountain) is the winner!